It’s no secret that universities have a constant battle keeping their curriculums up-to-date with the fast-paced development of artificial intelligence (AI) and automation. 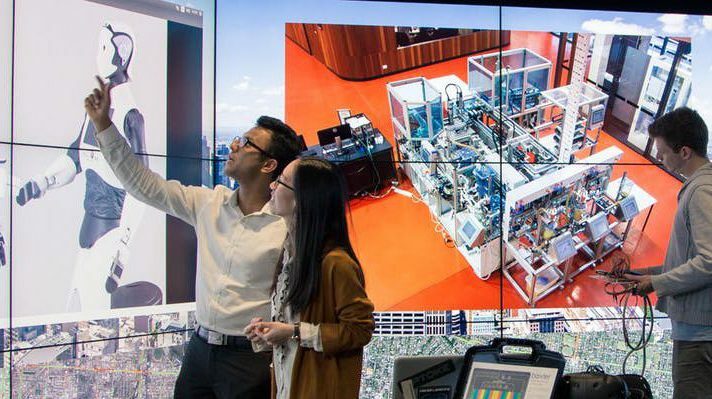 Royal Melbourne Institute of Technology (RMIT) is disrupting this institutional norm by preparing their students for working life through company mentorship programs. Companies such as VoiceFoundry, who develop innovative Contact Centre technologies for enterprise, are working with students in Computer Science degrees to develop innovative and real-world business solutions. More businesses are looking for novel ways to engage their customers and deliver better service. Graduates entering the workforce who can demonstrate technology skills in Automation and AI are undoubtedly valued. VoiceFoundry are proud to be a part of the development of these skills. Nottingham, United Kingdom – 24 October 2018 – VoiceFoundry, a principal provider of enterprise cloud-based contact centre solutions with a unique focus on customer experience and automation in North America, Australia and New Zealand, today announced that it is expanding consulting services for Amazon Connect to the United Kingdom. VoiceFoundry North America happily assisted the American Red Cross and Amazon Web Services during the disastrous Hurricane Harvey. Because of the scale of the damage and the limited amount of available assistance, The Red Cross, as large an organisation as they are, had to call in for back up. They engaged us, VoiceFoundry, to implement Amazon Connect and provide a self-service, cloud based contact centre. Within 48 hours, the new call centre was up and running, and heroes were being connected to people in need from three hurricanes that had developed by that time. Continue reading about how The Red Cross, AWS, and VoiceFoundry all played a vital role in this execution.